At first, several officers were captured and killed. Stojadin Mirković, a JNA soldier, was killed in transporter while he was defending barrack. Major Milan Tepić activated explosive blowing up himself and ammunition store. This act reminded Serbs of brave act of Stevan Sindjelić, hero from Serbian-Turkish wars who opened fire on a powder keg blowing up himself together with thousands of Turks. Croatian Prosecutor’s office and courts conducted improper investigation against suspects with no final judgment being made for this case. Hague Tribunal has never shown interest in prosecution of criminals from Bjelovar. The multiparty elections held in Federal Republic of Croatia on April 22, 1990 were won by the HDZ party which in its political program had clearly emphasized desire for independence of SR Croatia and its separation from Yugoslavia. Throughout the SR Croatia, there was great euphoria due to HDZ triumph. 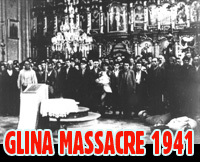 After that, the public could increasingly see images of Ustasha criminals (Ante Pavelic - leader of ISC, Alojzije Stepinac- cardinal of Catholic Church, Vjekoslav Luburić- commander of Jasenovac camp...), Ustasha salutes and hear Ustasha songs. This evoked memories among Serbs in SR Croatia of persecution and genocide from the time of Independent State of Croatia (ISC) during WW2. As early as the spring, HDZ and Franjo Tudjman took control over the police, the media, the Prosecutor's Office and the state administration. Serbs were expelled from police in the spring of 1990, immediately after the takeover, following conflicts in Maksimir (Zagreb stadium) between football fans of FC Dinamo (Croatia) and FC Crvena Zvezda (Serbia) which were exploited for propaganda purposes with anti-Serb sentiments. So thus started a media war against everything that is Serbian and Yugoslav. Croatian Authorities in Zagreb decided during summer to form its own armed forces. In October and November 1990 SR Croatia illegally imported a large quantity of weapons for the reserve police, members of the HDZ and the HOS. This action was led by Martin Spegelj and Josip Boljkovac, ministers in the then Croatian government. 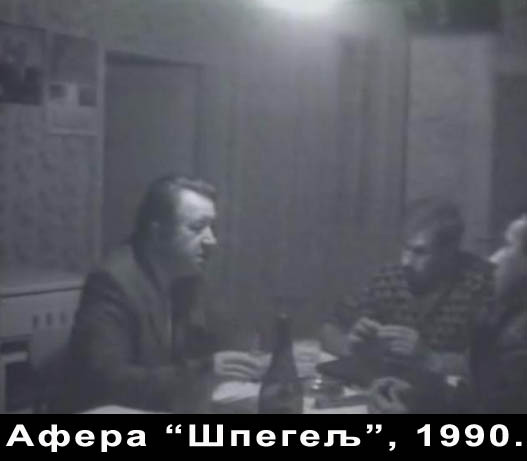 Counterintelligence of Yugoslav Federal Army made a film about this enterprise at the YFA military polygon in Gakovo in October 1990 and on January 27, 1991 this was broadcasted on TV Belgrade. On 22 December 1990 the Croatian Parliament officially declared a "Christmas Constitution" by which the Serbs lost several decades long constitutionality and Croatia left the "Socialist" out of its name. 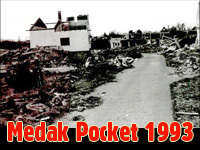 Since May 1990, the situation in SR Croatia was getting worse each day and Serbs were terribly afraid for their personal safety and their property. They could regularly see the Ustasha graffiti, slogans, posters, and large number of Serbs have received threats to leave their homes and move to SR Serbia. They have even received threatening letters with the signature of "HDZ". Such threats received even Croats who were in marital union with Serbs ... Serbs in Croatia were getting laid off their workplace, and even their children were mentally and physically abused in schools. In almost all places where Croats had an absolute or relative majority there were HDZ party members who were assigned to keep an eye on the movement of their Serb neighbors (espionage). 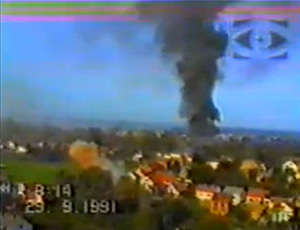 During spring of 1991 individual or organized attacks occured on villages and towns in which Serbs or other non-Croats lived: Pakrac, Plitvice, Zadar, Borovo Selo. On June 25, 1991, Croatian Parliament proclaimed independence and the day later, the Government of Yugoslavia declared this decision void. On July 7, 1991 the agreement was concluded at Brioni between representatives of Slovenia, Croatia and the rest of Yugoslavia, with the mediation of the European Community, when Slovenia and Croatia agreed to freeze their decisions on independence for three months. In all cities of Federal Republic of Croatia where barracks of JNA were located, JNA soldiers and officers were being provoked and attacked by Croatian people. Local authorities would turn off water and electricity supply, prevent food delivery to barracks, etc. These barracks mostly held soldiers on regular military service. Soldiers and officers of JNA of Croatian and Slovenian nationality regularly deserted from JNA starting from May, 1991. Many of them just returned home, but many joined ZNG or special police units. Bjelovar’s JNA barrack “Božidar Adžija” held 256. motorized brigade of JNA. This brigade was under control of the Fifth Military District whose command was in Zagreb. Croatian paramilitary forces stroke JNA barrack “Božidar Adžija” on September 28, 1991. They aimed at seizing barrack and gaining control over large ammunition store which was located in a forest “Bednik” near barrack. This action was led by Jure Šimić, JNA ex-officer who joined ZNG. At the time he was president of the so called Crisis Headquarters in Bjelovar. The Command of JNA barrack “Božidar Adžija” sent urgent letter to its superiors in the Command of the Fifth Military District in Zagreb, seeking help after they saw they had been besieged by ZNG members. At the moment, there were 150 soldiers and 70 officers of JNA in the barrack. They were outnumbered by ZNG who had around 1000 armed members. Instead of sending help, the Command from Zagreb sent the Observation Mission of European Community who should have acted as a peace mission preventing conflict outbreak. Members of the Observation Mission of EC weren’t allowed to enter the JNA barrack. severe attack on the JNA barrack “Božidar Adžija”, and defense of the barrack was led by Colonel of JNA Rajko Kovačević. They used heavy weapons, tanks. Soldiers of JNA were placed at designated locations for defense of the JNA barrack, according to previously determined plan made by JNA major Milan Tepić. When Croatian paramilitary forces started with the attack it prompted strong defense action of the barrack and store which was led by JNA soldier Stojadin Mirkovic on his transporter. Conflicts over the JNA barrack “Božidar Adžija” silenced in the afternoon of the same day. JNA colonel Rajko Kovačević ordered his soldiers to stop with defense and lay their weapons down. After that, Croatian paramilitary members entered and seized the barrack. Jure Šimić has arranged JNA officers and soldiers in a row ordering them to get naked to the waist. He took out JNA officers of the row: Colonel Rajko Kovačević, lieutenant colonel Dragiša Jovanović and commander of 1. Class Miljko Vasić, took them 50m away and killed them personally with two shots in each officer. Six soldiers of JNA: Radovan Barberić, Zdravko Dokman, Radovan Gredeljević, Ivan Hosjak, Boško Radonjić, and one anonymous person were captured and taken to the police office in Bjelovar. After the end of the conflict, ZNG members went to find the store in the forest which was mined. Major Milan Tepić saw them entering and activated a switch causing 170 tonnes of explosive to explode. Together with him, seven soldiers of JNA were killed, but 200 ZNG members as well. On the next day, Croatian civilians from Bjelovar entered the occupied barrack urinating and spitting on dead soldiers of JNA. Six soldiers of JNA who were captured in the police station in Bjelovar, were taken to the forest “Česma” on October 3, 1991 near the place Malo Korenovo and killed. The only person that survived was Savo Kovač, a Serbian civil from Bjelovar who was falsely accused of being sniper and arrested the day earlier. He later gave testimony about this crime. of SFRJ. Several streets in Republic of Serbia and Republic of Srpska were named after Milan Tepić. Serbian people extolled Milan Tepić in numerous epic poems comparing him with Stevan Sinđelić, a Serbian hero from Serbian-Turkish wars. Soldier Mirko Stojadinović was posthumously honoured with “the 1st Class of the Order of Merit in the field of defense and security.” A street in city of Valjevo (Serbia) was named after him. 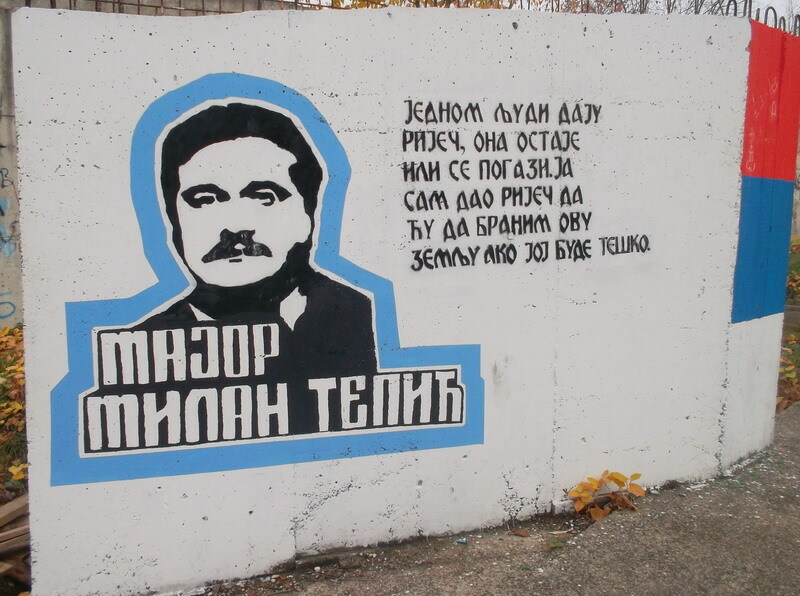 In Elementary School which he attended, Mirko Stojadinović received a monument on September 28, 2013. September 29 is celebrated in Bjelovar as the Day of the Town. 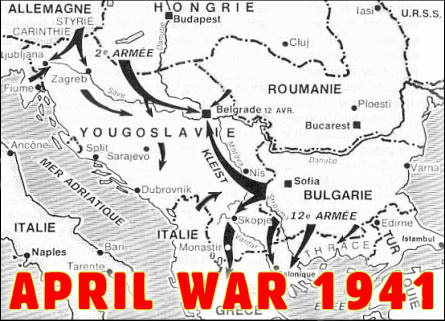 After this conflict, Croatia was rapidly entering the war which was the aim of Croatian authorities. This coincided with the statement of Franjo Tuđman at the Jelačić piazza on May 30, 1992 that Croatia could have received independence without war, but that it wouldn’t have become ethnically clean. Croatian Parliament enacted the Law on Absolution in 1992, by which all members of HOS, HDZ, Ministry of Interior of RH, and ZNG were pardoned for war crimes. Prosecutor’s office of JNA raised indictment in 1992 against Jure Šimić and his assistants for murder of soldiers and officers of JNA in Bjelovar on September 29, 1991. Family of JNA officer Dragiša Jovanović sent official request in 1998 to Hague Tribunal to open investigation against Jure Šimić, but Prosecutor's office of the Tribunal had never opened investigation process against Jure Šimić. State Attorney’s Office raised indictment on September 21, 2001 against four members of Croatian police from Bjelovar: Luka Markešić, Zdenko Radić, Zoran Maras and Ivan Orlović for committing criminal act of murder of six war prisoners and for attempt of murder of a civil on October 3, 1991 in the forest “Česma”. Defendants were unlawfully released two times, first in 2001, and second time in 2005 “due to lack of evidence”. Croatian Supreme Court has abolished both acquittals. 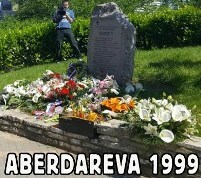 In May, 2006 Hague Tribunal sent indictments to the District Attorney’s Office in Bjelovar against persons accused of murder of JNA soldiers in the barrack in Bjelovar. Investigation on war crimes against N.N persons has been initiated. RTS (Radio Television of Serbia) broadcasted video material of crimes committed against JNA soldiers in the barrack. The District Court in Varazdin initiated third trial against four members of Ministry of Interior of Croatia in September, 2007 and the Prosecutor’s Office changed the indictment this time in which they were accused of assisting and complicity in the war crime against war prisoners and civilians. Non-final decision was made on December 21, 2007 which found accused guilty with one person being sentenced up to 4 years of prison and three persons up to 3 years, which is below of legal minimum. The Supreme Court in Croatia abolished this decision in 2010, as well. The District Attorney and Court initiated investigation against Jure Šimić in November 2010 for “reasonable doubts on criminal acts of war crime against war prisoners.” Investigation on this crime still hasn’t been finalized. Jure Šimić spent 11 days in prison, but then released to defend himself out of prison. The case was assigned to the District Court in Rijeka. The Council for war crimes in Belgrade sent indictments to Croatian State’s Attorney on October 24, 2011 against persons suspected of war crimes against Serbs in Croatia during the period 1991-1995. These indictments and decisions made by legal bodies of SFRJ, JNA and Serbia were declared void by the Croatian Parliament. The District Court in Zagreb initiated trial against four members of Ministry of Interior of Croatia from Bjelovar in 2011. On November 17, 2011 the judgment was made releasing them with statement that “acts which they were charged with are not criminal acts”. Since nobody submitted complaint, the judgement became final.